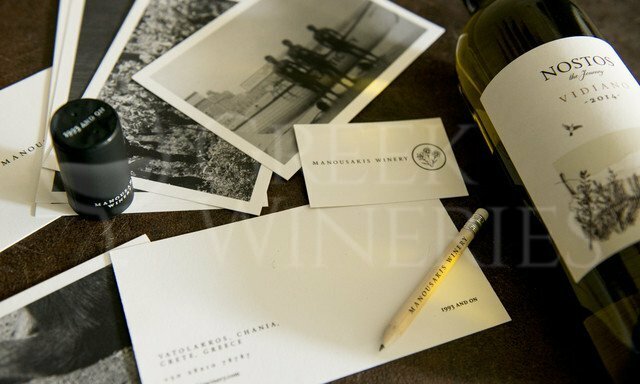 Manousakis Winery Nostos “We invite you to come visit us in Vatolakkos to taste our organic wines. 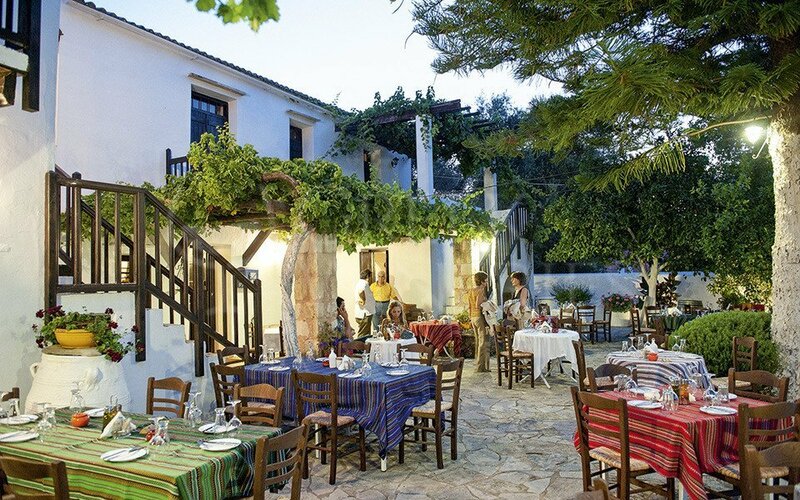 Whether you want to pair our wines with delicious Cretan delicacies or try them on their own, you will experience a side of Crete you never knew. 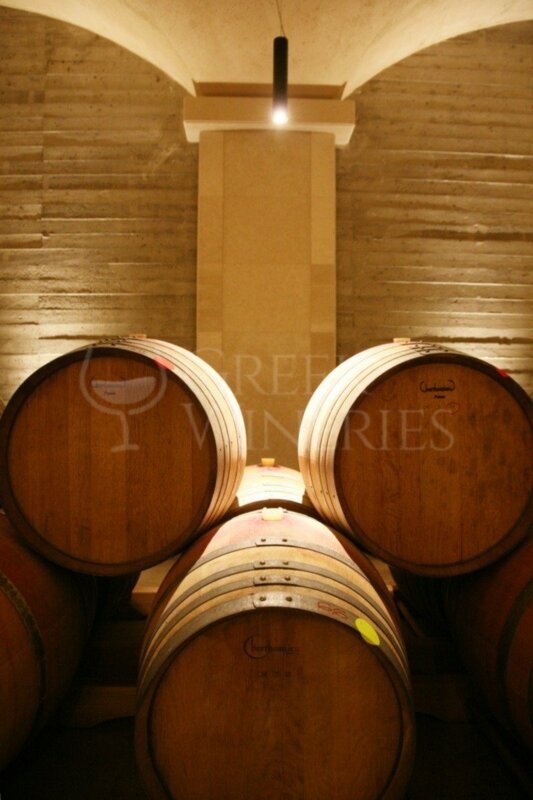 The winery offers beautiful winery grounds for enjoyable tours and wine tasting". In 2010 Manousakis Winery took another step forward and planted half hectare of the ancient white Cretan variety Vidiano. This variety was almost forgotten, but through modern vinification techniques it was able to produce very interesting and complex wines. An important part of the history is the brand name and the logo. Nostos means "the yearning to return to one's homeland" and the Manousakis Winery name embraces that feeling. The three small flowers on the logo are called “Manousakia”, from which family name is derived. These delicate and very fragrant flowers grow on hilly fields, mountain slopes and on the sides of creeks. At the end of autumn, they are picked by the village folk and are used to adorn the icons in the small country churches. It is this simple blend of beauty and exquisite fragrance of nature that served as inspiration for the creation of Manousakis Winery logo. The three “Manousakia” are symbolic of Ted Manousakis' three daughters. “Terroir is the environment. Terroir is the crop; it is the unique aromas and flavors tucked away in the soil that shape the character of a product. Terroir is also the people. It all came together in the form of a product line called Terroir by Alexandra Manousakis. This line of products serves as a showcase of Cretan nature, a showcase of Crete’s unique and unforgettable terroir. Each bottle of olive oil, jar and sea salt, is handmade by a local ceramist. The “Terroir” products in the short time that have been created have been accepted with great publicity and are available in many selected stores, e-shops as well as in Manousakis Winery in Vatolakkos-Chania. Tsikoudia is a distillate from the marc, or pumace, of Roussanne grapes. 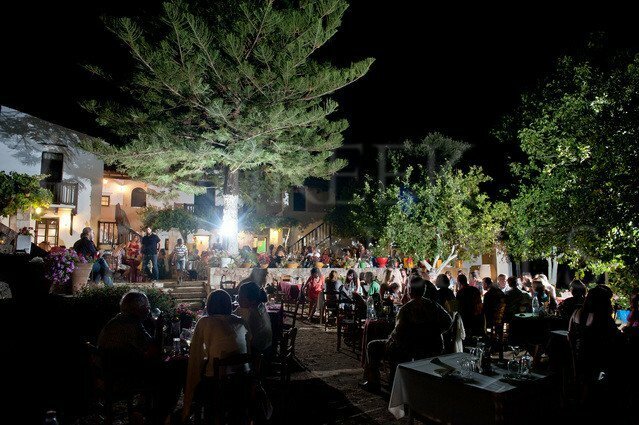 Tsikoudia has a long standing history in Crete and is used not only as an aperitif, but also for its therapeutic action. Traditionally, most households produce this strong spirit and enjoy it either at room temperature or directly from the freezer. Winter months: Monday to Friday only upon request.